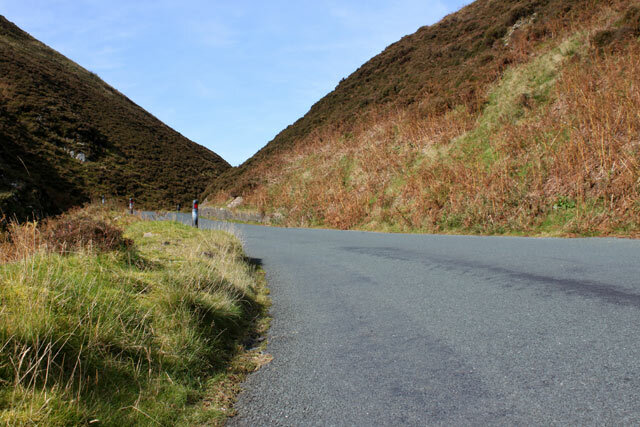 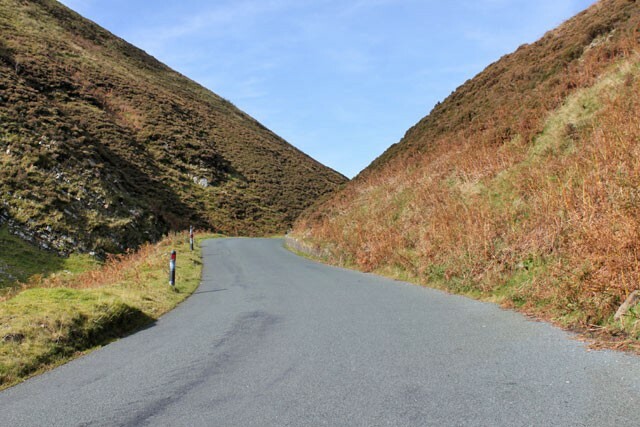 The Trough of Bowland is a wonderful climb from Dunsop Bridge towards Lancaster. 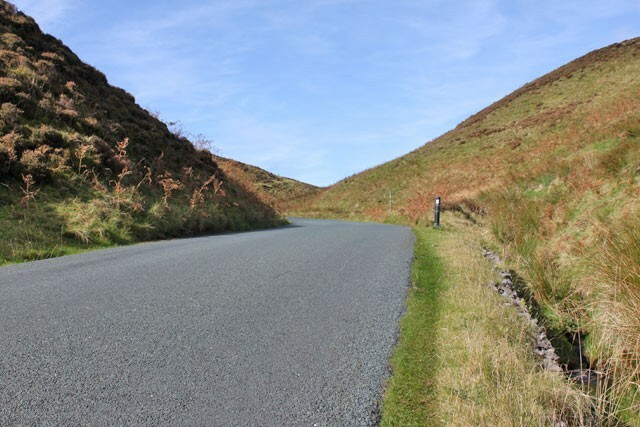 The 100 climbs version is 1.3 miles, average gradient of 6%; with the last section getting up to 15%. 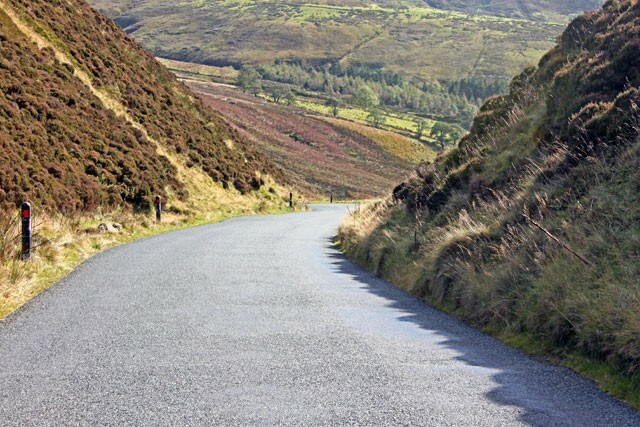 On a good day there are great views. 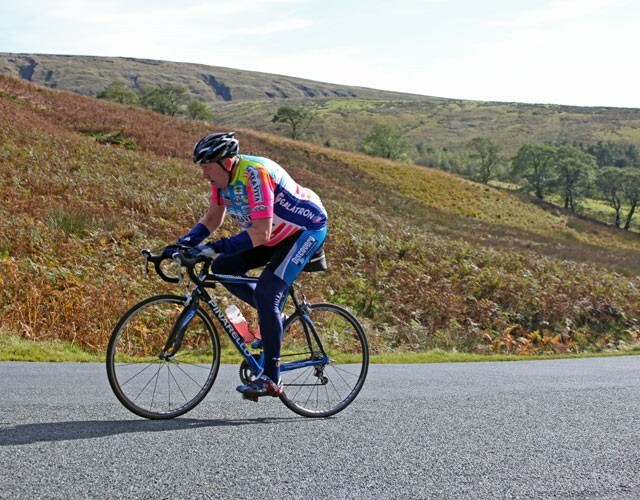 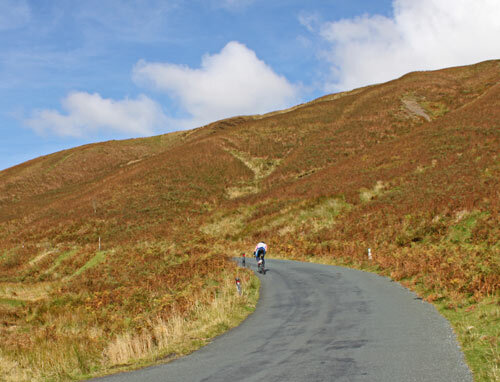 I rode the Trough of Bowland in October 2012 after the Lancaster CC hill climb on Jubilee Tower. 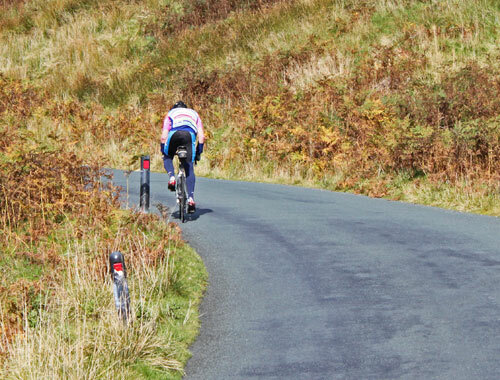 Fortunately, it was a great day.